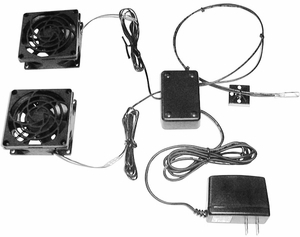 Dimensions: control box 3� W x 1� D x 2� H; fan(s) 3 1/8� sq. L 8.00 in. x W 6.00 in. x H 4.00 in.